Hosted PBX, also referred to as Virtual PBX or Hosted VoIP, allows small businesses to have a “big business” telephone system functionality at a fraction of the cost of buying a large brand name PBX. BluegrassNet Voice supports hundreds of businesses throughout Louisville, the United States, and abroad by delivering high-quality Hosted PBX Services from our Hosted VOIP/PBX servers. Customers connect to the system servers via the Internet, which is housed in our Data Center on highly-reliable redundant Gigabit backbone connections. If you are looking to get a new telephone system, and have a hard time justifying the up front cost, hosted PBX may be the solution for you! What exactly is Hosted PBX? Hosted PBX is where a customer’s telephone system functionality is delivered across an Internet connection rather than buying a system of their own. As you can see in the illustration to the right, the customer has a telephone hand-set on their desk as usual, or can actually use a “soft phone” on their PC or laptop if they want, and connect that telephone to the Internet to get to their business’ telephone PBX system. As long as the customer has a reliable LAN and Internet connection, this is a very economical way to get your business PBX features. Pricing starts as low as $10/mo. per user. In fact, some customers have their systems set up so that a hand-set can be moved to another location, plugged back into the Internet, and operate just like it did back at the office! BluegrassNet Voice engineers can help you set up a professional Hosted PBX system just the way you like it. Having a custom dial-plan is one of the big benefits of this service, and you can easily make changes via a sensible computer interface that allows you to add, change, and remove call routing and other functions as desired. There are two important components involved in calculating Hosted PBX pricing. The Monthly Service Fee: Which is determined by calculating how many lines you need, voicemail boxes, fax to email, direct dial numbers, etc. These are also called “call paths”, “SIP trunks”, etc. They all go into the monthly PBX service fee. The Set Up Fee: This can vary greatly depending on the requirements of the customer. 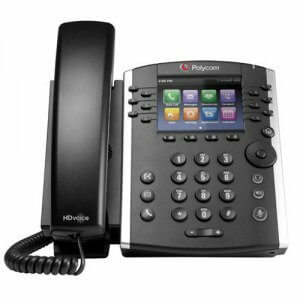 This second component is very important because there are all sorts of issues ranging from wiring and network improvements needed to support VOIP, to custom programming required in order to make the system work just the way you want it. This is called the “dial plan”. Your best bet is to contact us by phone or email and discuss this with one of our technicians in order to get an accurate quote.